Lone Star Graphics made the long haul from Texas for Race 2 of the 2011 PTN season. Gary & Michelle Burrow took some great shots of the action throughout the weekend. Here is a small sampling of their work from this event. Check out their site at www.LoneStarGraphics.com for their full selection of photos from this event & merchandise available from them. Dome Valley Raceway in Wellton, AZ will be hosting a Test and Tune evening on June 18 from 6PM-Midnight. All vehicles are welcome with the Test and Tune fee being $30. Click “Read More” to view full event flyer. 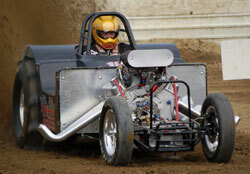 Dome Valley Raceway has announced that it will hold its Fall Nationals on September 30-October 1. This event will be a Friday-Saturday night race at the Wellton, AZ track. More details will be released in the coming days. The 13th Annual Heartland Nationals at Atoka Motorsports Park saw some amazing on track action, including the track record being lowered. A great turnout of racers from as far away as California, Arizona, and Michigan came out to compete at this Southeastern Oklahoma race track. Let’s take a look at the racing from this event. Pro Truck Nationals (PTN) kicked off its 2011 race season with the annual trip to the IOK 4-Wheelers Grounds in Cleves, OH. Beautiful weather & sunny skies graced a great turnout of around 200 entries on hand to compete in the various categories. Let’s recap the weekend’s racing. Kingman, AZ was the site of the Mertens Heavy Equipment Repair Springnational Sand Drags on a beautiful mid-May weekend. The weather was perfect for great racing & fast times. Ernesto Juarez from Dome Valley Raceway had the track surface in top condition while Fast Track Racing sent the cars down the track and Route 66 Wings & Wheels promoted the event. Let’s take a look at the on-track action.